provide an overview of your skills and experience. include related or interesting facts to punctuate your credentials. Matthew Mulder began his career in a quiet Wisconsin studio of a calligrapher where he learned a hands-on approach to color, design, typography and the ancient art of Celtic knots. As creative director, he brings more than sixteen years of experience to the art department and provides creative, strategic solutions to the publishing business. 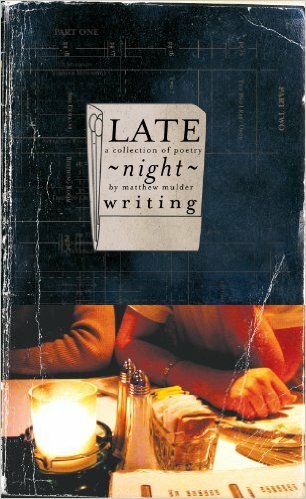 After-hours, Matthew is a culture-maker in the literary community of Asheville, North Carolina where he is invited to present his work to audiences at bookstores, cafés, and fine art centers. His published work appears in such literary journals as Crab Creek Review, H_NGM_N, Small Press Review and others. Follow Matthew on Twitter @mxmulder or LinkedIn. NOTES:  Terje Johansen provides the basics of writing a business bio . Here’s a couple other resources: 16 questions to help you write a douche-free bio and A Great Professional Bio.